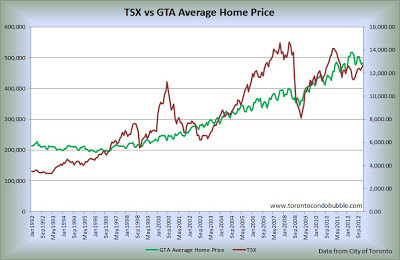 Ever wondered why so many people view Toronto real estate as a super safe investment? Well, look no further than the TSX. First there was a tech bubble, then there was a financial crisis. Both resulted in massive index swings. 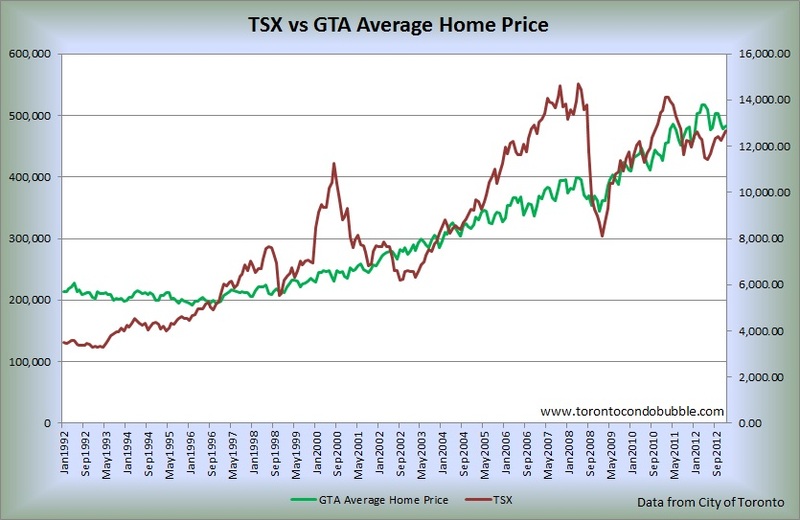 At the same time, the Toronto housing market kept on rising. But just because home prices were going up for the past 17 years does not mean that the prices will keep on rising in the future.